Colin Meloy performs at the 2013 Newport Folk Festival. After a long flurry of activity culminating in the release of The Decemberists' 2011 album The King Is Dead, frontman Colin Meloy announced his long-running, best-selling band would take a lengthy hiatus. Several of the remaining group members began to focus on the side project Black Prairie — which is also playing this year's Newport Folk Festival — while Meloy has focused on writing, child-rearing and performing solo. 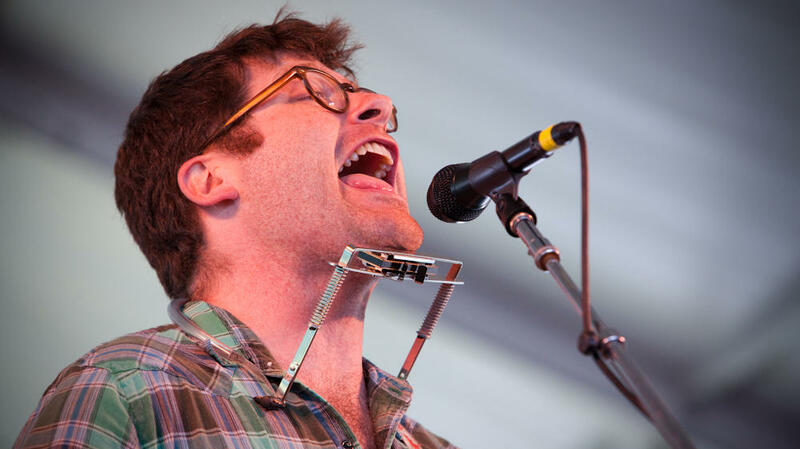 Even before putting his band on hold, Meloy had released a live solo album and the self-explanatorily titled EPs Colin Meloy Sings Shirley Collins, Colin Meloy Sings Sam Cooke and Colin Meloy Sings Morrissey. Watch Meloy perform with some special guests as part of the 2013 Newport Folk Festival, recorded live on Saturday, July 27 in Newport, R.I.